Growing up, I knew my grandfathers fought in World War II. Didn’t everyone’s Grandpa? My grandfathers were two of the most amazing men I will ever know. They were strong yet fun. Compassionate yet firm. Everything a grandfather should be for their grandchild. I’m sure they weren’t perfect but to me, they were these pillars of strength. Rarely, if ever, did we see our grandfathers cry. Men of that generation just didn’t do that. Today, I’m writing about the one time I did see one of my grandfather’s cry. I went to High School in Bedford County, Virginia. My grandfather moved to Bedford County not long after we did and I remember going over to his farm quite often. He was always at our house or we were at his. My timeline on when this actually happened is a bit foggy – as are a lot of things from my childhood – but I am pretty sure it happened while I was in high school. Bedford County is home to the National D-Day Monument. Why? Because Bedford County suffered the highest loss per capita of ANY town or county in the United States on the Normandy Beaches. This was something Bedford County never forgot. We never forgot our fallen, those who so bravely gave their lives for our country, for our little hamlet. I remember hearing about this play about D-Day in Bedford County. For some reason, I decided to invite my Grandfather to go with me. He, of course, agreed. Who says no to a granddaughter like me? So we attended the play together. It focused on the reaction of the towns people at home in Bedford County. The telegrams and notifications that didn’t stop. The heartbreaking loss. The drive to be patriotic in an attempt to understand such a massive level of loss. We sat together, my grandfather and I, in that darkened theatre, watching actors slowly unravel this massive day of tragedy. Finally, it was over. The crowd clapped, stood, and there was a camaraderie felt that day. It wasn’t until we got outside and looked at my grandfather that I noticed his tears. He was covered in them. My brave, strong, amazing Grandfather had tear-soaked cheeks. He fumbled for his handkerchief and wiped them away, muttering something about allergies. I remained quiet but I gave him a hug. Not another word was spoken about those tears. We got in the car and he drove me home. I thanked him for going with me and he thanked me for inviting me. I learned that it’s okay to feel. For the first time in years, I learned that yes, it’s okay to feel. It’s okay to let other people see you cry when something horribly tragic happens. Even if you try to blame them on allergies, tears are sometimes necessary. Tears happen. Even to old men. So today, as you’re celebrating a day off work, remember the men and women who fought for us. Remember the men and women who ARE fighting for us. Remember their families and the monumental sacrifices which they have made so that we are able to continue to live free. Don’t ever forget. And if a tear happens to slide down your cheek while you’re remembering, it’s okay. This entry was posted in family and tagged Bedford County Virginia, Grandpa, Memorial Day, National D-Day Monument, tears, United States, World War II on May 30, 2011 by LHale. 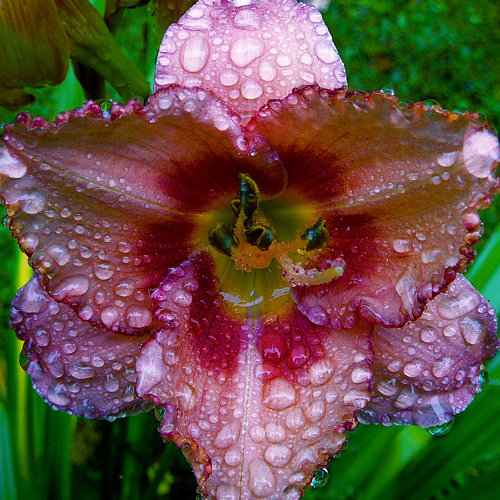 This entry was posted in friday soother and tagged flower, friday soother, soul, tears, water on May 27, 2011 by LHale. In a lot of ways, telling the world about your battle with postpartum depression and anxiety or other forms of mental illness is what I’d imagine coming out feels like. Being honest with the people closest to you (and not so close to you) about who you are on the inside and what you’re thinking? Takes fortitude. Of the testicular variety. May, as Katie pointed out, is Mental Health Awareness Month, and May 18th was designated as the day to blog for mental health. While the rally at my blog may be over and the month may be drawing to a close, the mission won’t be complete until the stigma is gone. I know that our work to end the stigma surrounding mental illness is likely an uphill battle. I know that we live in a world where people are quick to judge and slow to accept. I know. I believe in the power of people working together to make things happen. To make CHANGE happen. That brotherhood, or sisterhood, or humankind-hood, is powerful. It is strong. It is brave. It is hope. If you’re reading this and you find yourself hurting and unsure of what the next step is, reach out. Reach out to your spouse or sibling or parent or friend. Reach out to an e-stranger friend who will listen. This entry was posted in #PPDChat, advocate, Ante-partum depression, Perinatal Mood Disorders, public awareness, women and tagged #PPDChat, advocacy, depression, hope, mental health, postpartum depression, Postpartum Mood Disorders on May 26, 2011 by notsuperjustmom. 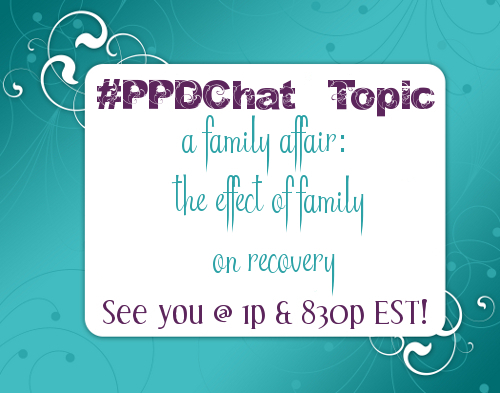 This entry was posted in #PPDChat and tagged #PPDChat, family, peer support, postpartum depression, recovery on May 23, 2011 by LHale. This entry was posted in friday soother and tagged beauty, empowered, friday soother, identity, independence, strength on May 20, 2011 by LHale. Some of you may know me, to the rest of you? You are probably craning your necks, trying to see around me to see if Lauren is back there. She is not. She has a lot of stuff going on and asked for a wee bit of help around these parts. My name is Kate and I blog over at Sluiter Nation about being a wife, a full-time working mom to an almost-two-year-old, and I am a survivor of PPD/A among other things. The first time I posted about my PPD, I was nervous. I didn’t know if anyone would read or care or judge or what. I got a bunch of comments I didn’t expect. And some people didn’t understand, so I posted about what it’s not. Very soon after this I found Lauren and this blog and #PPDChat. And then I found the 2010 Mother’s Day Rally over at Postpartum Progress. It saved my life. Shortly after, someone I had just met through all the PPD stuff here and there and on twitter, asked me to be part of her May is Mental Health Month Rally for 2010. A year later, Miranda is probably one of my best friends on the interwebs and I am POSITIVE we will be besties when we finally meet in real life too. This year she is running another Rally for Mental Health Month on her blog, Not Super…Just Mom. Most posters are women (and men!) who have dealt with PPD/A and have come out on the other side. These are wonderful stories, albeit difficult for some to tell. They are filled with hope and encouragement. And as my first post here? I encourage YOU to go fill yourself with hope. Every day this week. Start here with her introductory post. 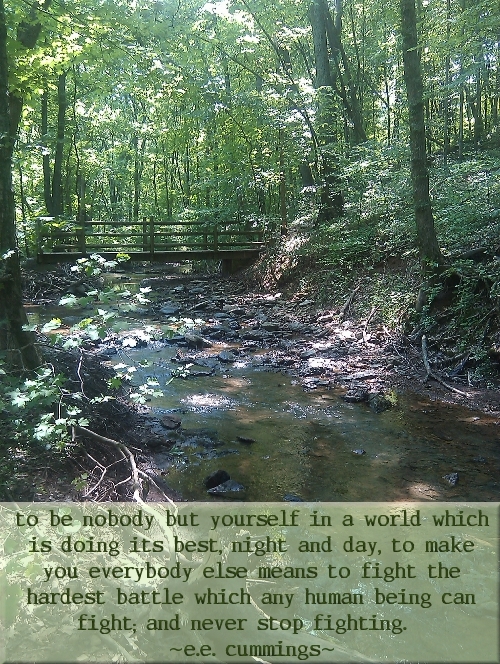 This entry was posted in postpartum depression and tagged mental health rally on May 19, 2011 by ksluiter. Guest Post: The Most Common Complication of Childbirth by Dr. Jessica Zucker, Ph.D.
Perinatal mood disorders have been called the most common complication associated with childbirth. Mood struggles during the postpartum period run rampant but are consistently quieted by our culture’s focus on the overly idealized “glowing” new mother. Though many women gracefully transition into mothering, many others feel they are riding an emotional, hormonal, and physiological roller coaster- with no seat belt and no way to control the speed. With the glaring statistic of 15-20 % of mothers developing postpartum depression (not to mention all of the other perinatal mood disorders), it seems imperative that this public health crisis be addressed systematically and globally. Postnatal mental disorders can be incredibly detrimental for infant development and attachment formation. “By 6 months, the infant exposed to a mother’s negative affect learns to extrapolate using that behavior with others. By ten months, the emotional responsivity of infants of depressed mothers is already organized differently from that of normal infants.” Determining primary, secondary, and tertiary preventive approaches to perinatal mood disorders will increase the likelihood of generations of healthy baby-mother attachments. How do we make burgeoning families more of a healthcare priority? Who routinely has the opportunity to discuss maternal psychological and physical transitions with pregnant and parenting mothers? Through the dissemination of maternal mental health information, preventive education, employing diagnostic screenings, and providing additional supportive resources to women and families, the silence and shame that infiltrate postpartum mood disorders may begin to dissipate. Ideally situated, obstetricians and midwives (among other healthcare practitioners) and their unique relationships with pregnant and parenting women, can provide a way to thoughtfully prevent and carefully identify perinatal mood disorders. Here are some initial thoughts on the impact healthcare providers can have on the lives of pregnant and parenting families with the aim of precluding postpartum mood disorders. 1. The obstetrician/midwife should be aware of the potential affects of antenatal mood disorders and maternal stress on fetal development and birth outcomes. Getting appropriate training in postpartum mood disorders will allow families to feel safer in their care. 2. Knowledge of the latest research about the efficacy and safety of psychotropic medications during pregnancy and lactation can facilitate authentic discussions about the risks and benefits if medication is indicated. 3. The obstetrician/midwife has countless opportunities throughout pregnancy and at the postpartum visit to talk with patients and their partners about the various risk factors that contribute to postpartum mood disorders, signs to be concerned about, and available local resources. These discussions can be woven seamlessly into routine appointments and allow the patient to feel more deeply understood. Research states that postpartum mood disorder prognoses are best when identified and addressed immediately. 4. Understandably, many women feel confused and conflicted by feelings of maternal ambivalence or outright unhappiness. The obstetrician/midwife can help normalize various feeling states as well as educate patients about perinatal mood issues and possible treatment options. Addressing psychosocial issues increases trust and patient satisfaction. 5. If women with mood disorders are identified at the initial prenatal visit, a consultation with a psychiatrist needs to become part of their care. Women who have experienced previous postpartum mood disorders are at increased risk for reoccurrence. (a) Over the past 2 weeks, have you ever felt down, depressed, or hopeless? (b) Over the past 2 weeks, have you felt little interest or pleasure in doing things? These simple questions may provide a springboard for exploring mood related concerns and becomes a way to check in about potential psychosocial issues at each prenatal visit. 7. Pregnant and parenting women should feel that all of their physical and psychological concerns are valid and have a place within the patient-doctor/midwife relationship. Fostering an intimate environment through relational sensitivity and candor may increase the likelihood that women will not suffer in silence. 8 . Obstetrician’s and midwives would benefit patients by routinely providing perinatal mood disorder literature as well as local and national therapeutic resources to women and their families. This entry was posted in education, Perinatal Mood Disorders and tagged Dr. Jessica Zucker Ph.D., guest post, mental health, Mood disorder, Postnatal, postpartum depression, pregnancy, Reproductive Health on May 16, 2011 by LHale. This entry was posted in #PPDChat and tagged #PPDChat, Facts, Postpartum Mood & Anxiety Disorders on May 15, 2011 by LHale. The response to my post yesterday, “Seeking Guest Contributors,” has been absolutely astounding. So much love and generosity. Today’s post comes from Cristi Comes over at Motherhood Unadorned. You can find her on Twitter as @EllieAdorn. There are so many more guest posts to come – I can’t wait to share them with you! Without further ado, here is the first part Christi’s post in her own words. You’ll have to go to her place to read the rest of it. Trust me, you want to read the rest of it. Postpartum Depression (PPD) can happen to anyone, even someone like me who already has mental illness and is medicated and treated for depression. With my first child, I thought “I’m cool,” my meds will protect me from PPD, and I think for the most part they did. BUT I wasn’t so lucky when I had Ellie. Perhaps it was because I changed meds in between kids. Or maybe it was the stress of managing 2 children. I’m sure it was all of that and more. I hate pregnancy, or more to the point I hate the way my body and brain feel during pregnancy. The aches, the pains, the anxiety. So having the baby is blissful relief to me. I get my body and stamina back. But the first few months with 2 kids was really really hard. My son, who was just over 2, had been a completely attached child. Mommy and Daddy were his whole world and he was the center of the universe. Now the universe had two center points and one needed mommy 24/7 for breastfeeding and care. His jealousy was BAD. Our sweet little boy was acting out so terribly I was losing it. I felt like I was on the defense protecting Ellie every minute of every day…besides the typical lack of sleep and general stress of caring for a newborn. PPD was creeping up and I didn’t even realize it. My husband had suspicions when I started talking about desperately needing to get a tattoo, like yesterday. I also decided I needed a hobby, and got to work finding one by buying up the fabric store and sketching a million clothing appliqué designs. And I don’t even own a seeing machine, much less know how to use one. I finally hit a breaking point, and started to realize what was going on. I do have some experience in this are afterall. I’m surprised I didn’t see the signs sooner. I FINALLY wrote my husband the below email asking for help. Here is my voice from inside of PPD. Head on over to Motherhood Unadorned to read the rest of this amazing post. This entry was posted in postpartum depression and tagged guest post, infant, mental health, motherhood, postpartum depression, twitter on May 13, 2011 by LHale. Due to a personal situation, I am currently unable to blog here at the moment. 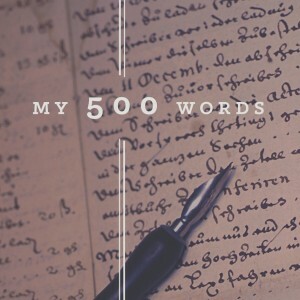 I am hoping to get back to blogging soon. In the meanwhile, I would like to continue sharing stories and experiences of Postpartum Mothers (and fathers) here at My Postpartum Voice. Over the past four years, I have worked tirelessly to reach out to those who are struggling in an effort to help them feel as if they are not alone. While there is four years of material here, new stories and new perspectives are always welcome and may reach someone I may not be able to reach myself. If you are interested in writing for My Postpartum Voice, please email me at mypostpartumvoice(@)gmail.com. I never edit for content, only for grammar and spelling. I believe when you are writing about your Postpartum experience, it should be in your voice, your words. I also never limit the length but prefer most pieces to be not much longer than 800 words. If your story is longer than that, it’s fine, we can certainly post it in sections. Topic is completely up to you but absolutely must relate to the Postpartum Mood & Anxiety experience in some way. Tips, personal stories, research, opinion, etc. – all welcome. Humor too – I’m a big fan of laughing your way through the darkness. Also, you are more than welcome to submit anonymously. I realize that the Postpartum journey can be frightening and you may need to share but not wish to do so publicly. I will absolutely respect your wishes in this area and work with you to ensure your privacy is protected. I look forward to hearing from you and hope that even if you are not ready or able to share a story, you’ll pass this on to someone who may be able to or ready to share theirs. Thank you for reading, for supporting, and for sharing. This entry was posted in Perinatal Mood Disorders and tagged blogging, guest bloggers, guest contributors, Mood disorder, mother, postpartum depression on May 12, 2011 by LHale.